The NJAAPT Spring Section Meeting will take place on Saturday March 24, 2018 at Princeton University. Michael Heinz, Science Coordinator from the NJ Dept. of Education will be talking about the New Jersey Learning Assessments in Science. There will also be Make 'n Takes, and more! Register here. Board Members needed! Consider contributing to the Physics Teacher profession by being part of the Executive Board. You don't need to be Einstein, it is not a huge space-time commitment, and you will be helping other Physics teachers. Physics teachers at all levels of experience are welcome! Spring is a great time for Physics meetings, so make plans to get some new growth by attending the upcoming section meetings. NJAAPT and SEPA are both having Spring Section Meetings in March. Go! You'll be glad you did. The 2018 NJAAPT Demo Show took place February 9, at Georgian Court University. It was fun and you should have been there ! Click here to see the event and handouts. 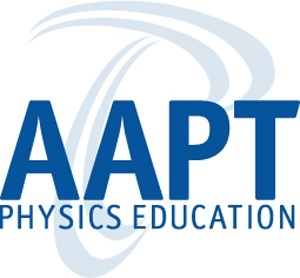 We have lost a few board members due to retirements and relocations, so we are looking to recruit more Physics educators who want to promote the profession and help their colleagues in NJ. 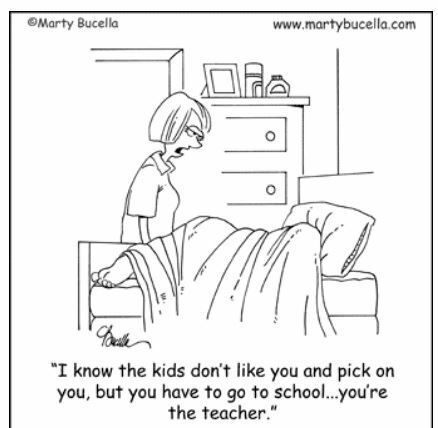 Plus, it's good Professional Development and a unique Professional Learning Community! Don't let travel distance be an issue -- we can and do meet via Skype when needed. We have "at-large" (unelected) general board members, plus elected officers. The board meets ~7-8 times per year to plan events and deal with running the organization. You don't have to "know it all" to be a board member -- just bring your ideas, talents, and enthusiasm! If you are interested in being on the Board, just checking it out, or have questions, contact Jim Ferrara ( jferrara@shsd.org ). President: The "face" of the organization, main contact person, presides over meetings, oversees operation of organization. Vice-President: Assist President/Board by assuming a leadership role in meetings/events, and leads in absence of the President. Treasurer: Fiduciary responsibility for NJAAPT. Facilitates payments related to membership, events, and for maintaining the organization. Secretary: Documentation of meetings, events; communications, archiving information for the section. Members At-Large: Unelected board members who assist with planning and facilitating events, as well as help in running the organization (ex: website, etc.). A cup and a string make for some interesting sounds. Chicken in a cup -- Some variations include using buttons instead of the paper clip, or a small piece of sponge can be threaded onto the string. Dampen the sponge to make the chicken sounds. Or two cups attached with a long string make a low-tech "telephone". It's interesting that many kids have never done the cup telephone activity before! Don't have clickers? Use Plickers. This is a free program in which teachers can make formative assessments using printed answer sheets and a smartphone. Students are issued a printed answer sheet to keep, each with a unique figure. They orient the figure to indicate their (A,B,C,D) answer, and the teacher records the responses on a smartphone app, similar to scanning a QR code. The results can be projected from the program for class discussion. We all know the formula: °C = 5/9(°F-32) or °F = 1.8°C+32. Here's a different method--quicker, easier, no fractions and parentheses! But the question is: why does this work? Try this new method, and compare the to the usual conversion formula. RoadTrip Math Ray drove 20 miles more than Tom.